Swansea Drydocks' history of ship repair dates back to the early 20th century. Prince of Wales Dry Dock 2, previously known as Palmers Dry Dock, was established in 1923, and Prince of Wales Dry Dock 1, formerly known as the Duke of Edinburgh Dry Dock, was built in 1958. Historically, the dry docks have been operated by a number of companies, including CH Bailey, Prince of Wales Dry Dock Company, Trushippers, Bristol Channel Ship Repairers, Uglands, George Prior Engineering and Harris Pye. Today Swansea Drydocks offers complete lifecycle services, from surveys, ongoing maintenance and repairs through to recycling end of life vessels. We achieved BS EN ISO 9001:2008, ISO 14001:2004 and BS OHSAS 18001:2007 certification in April 2012. 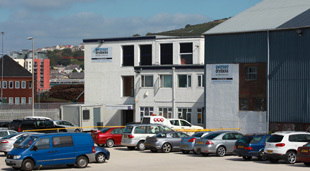 With our newly refurbished facilities and convenient location in the Port of Swansea we offer an attractive proposition to ship owners seeking high quality, reliable and environmentally responsible services.